Regular Ask Leo! readers are probably shocked as well. It’s positively shocking that I’ve gone for nearly four full months here on Ask Leo! On Business without talking about backing up. It seems I can’t stop talking about it on Ask Leo!, and it’s long overdue for a mention here. I’ll put it this way: if your web host were to completely disappear over night, would that be a problem? I use that catastrophic example on purpose. It seems over-the-top, doesn’t it? I mean, how often do web hosts just suddenly disappear and go out of business, after all? But more importantly, by protecting yourself against this ultimate catastrophe, you’ll find you’re protected against almost anything else that can go wrong. The goal here is simple: to be able to restore your site to a completely different web host, and have it back up and running as it was before, within a couple of days. Many are not – backups are your responsibility. Many are, but only for “server level” issues – if you have a site-level problem, you might not have access to those backups. Many are, but will only restore your site in an all-or-nothing fashion. This means if you’re just attempting to recover an accidentally deleted file, you have to decide if it’s worth overwriting your entire site with a previous backup or not. 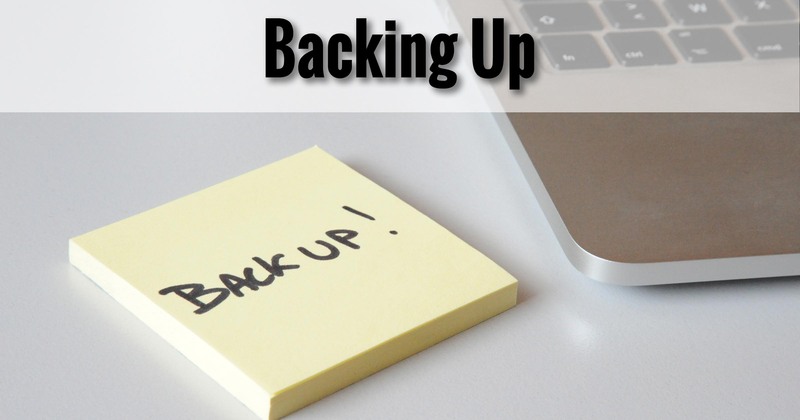 Some do, exactly as we might want: easily accessible backups that we can restore, completely or partially, as we need. Of course, if your host is the problem – as in it just disappeared completely – they’ll have taken their backups with them. So, yes, make sure your host is providing backups of some form, and take the time to understand exactly how they may or may not be useful. They could be the most expedient solution to a future problem. I’ve become a big fan of the WordPress plugin BackupBuddy. It’s not free, but it does everything I expect. Files. By that I mean the WordPress files themselves: your themes, plugins, and any media files you’ve uploaded to the site. Data. All of your content – the articles, comments, and the configuration of your site – is stored in a database separate from your files. Each is important. Backing up both is essential. As you might imagine, backing up your site and storing the backup on the website’s server isn’t enough. Once again, should your web host suddenly disappear, your server, and any backups it contains, will also disappear. BackupBuddy allows you to not only schedule automated backups and store those backups elsewhere – either on its own provided storage (called “Stash”), or services like Google Drive, Dropbox, or others. Alternatively, you can just download a zip file every so often. BackupBuddy can also help move a WordPress site to a completely different domain (for example, moving the site and all its content from “askleo.com” to “somerandomservice.com”, typically a very complex process). In fact, it’s how I was introduced to the plugin. As I said, the goal is to be able to restore your web site on a completely new host in the absolute worst case scenario. With BackupBuddy, that’s actually pretty simple: upload a bootstrapping script provided by BackupBuddy, point it at your backup, and after a couple of configuration steps, the process restores your site. Assuming you’ve changed your domain’s DNS to point to your new web host, you’re pretty much done, at least with respect to your web site. Perhaps more importantly, through, that “.zip” file created by BackupBuddy contains everything in and on your site. That means you (or someone helping you) can extract anything you need, at any time. Delete a file accidentally? Recover it from the backup. Need to revert to an old copy of an uploaded image? It’s in there. Need one of your articles back? It’s in there too, in the included backup of the database. WordPress has an Export option in its Tools that can be used for backup – sort of. The Export function is, indeed, a fine way to make a copy of your content, but it’s important to realize that it exports only your content. Everything else, from your site’s plugins, themes, configuration, settings, and everything else, is not included. The reason it’s a viable, better-than-nothing backup is that everything not included can be reinstalled, re-setup, and re-configured. It may take time – perhaps even lots of it – but it’s generally possible. Your content, however, is what makes your site unique. If you’re not going to go the BackupBuddy route, then at a minimum, back up your content by Exporting it every so often, and then including the downloaded file in the regular backups of your PC. Email is separate from your website, and tools like BackupBuddy aren’t going to help. When it comes to email, I strongly suggest that you back up all your email separately by using a desktop email program like Outlook or Thunderbird, downloaded via either IMAP or POP3, and configured not to delete your email from the server. This is exactly what I do. I simply run Thunderbird once a week and have it download all my accumulated email from my online account where it all resides. When disaster strikes, or you need to move mail hosts, you’ll need to re-create your email accounts at that host, but with a properly configured email backup in place, you’ll have lost little. I’ve written about it on Ask Leo! : Back Up Your Email Using Thunderbird. That article uses Thunderbird and Outlook.com as examples, but the general concepts will apply to any desktop email program you might elect to use, and your own online email account. 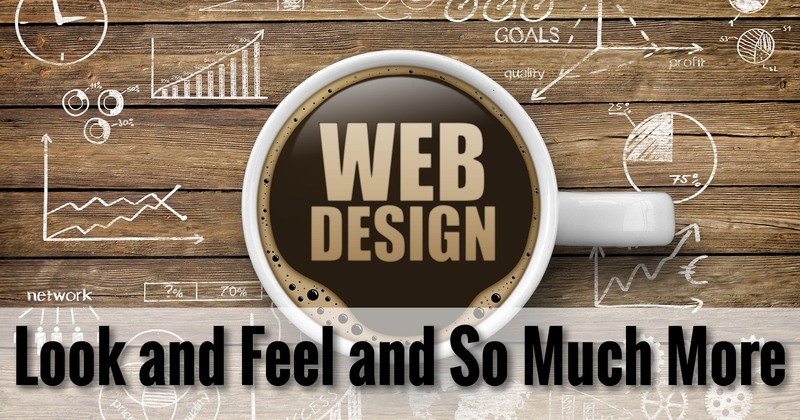 It’s not a stretch to say that a well-crafted website is an incredible asset to a company or cause. It’s also not a stretch to say that the sudden disappearance of a web site that isn’t backed up can cause no end of grief to that company or cause. It can even lead to its own sudden disappearance. It’s something I’ll be saying for a long, long time: back up. … it’s time to start backing up. 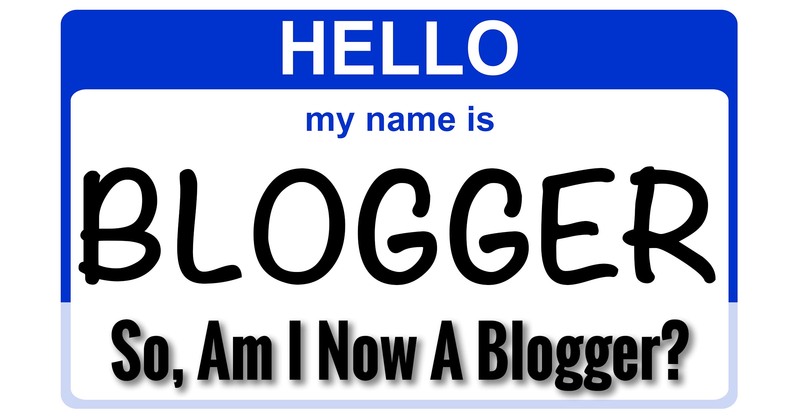 Next Post: So, Am I Now A Blogger? I’ve gone the Joomla route, because when I looked at WordPress, I had the impression it was harder to configure the way I wanted it than Joomla (I didn’t want a blog-like site, and WordPress is much oriented that way). After having read many of your contributions, I think now that I would have been at least just as well off with WordPress, but I’m with Joomla now, and it works quite well too. Probably my choice was also influenced by the fact that I had some experience with Joomla, and much less (apart from a simple blog) with WordPress. So my main regret with Joomla is that I can’t use your advice directly, although there are equivalences of course. With Joomla, the (free) backup tool that does about what BackupBuddy is doing according to you, is called Akeeba. My problem with it is that I never tested it. I’m using it, I’m accumulating a history of complete backups, but I never tested it. It would be a bad idea to test it on my working site, of course: if the backup messes up, I have destroyed my site and I have, obviously, no working backup ! So I wonder how I could test my backup. Of course, I’ve been thinking about setting up a server at home, with Apache and everything, and restore my site at home. But that’s a lot of work. Maybe I have to go that route. But is there a smarter way to check the backup of a web site ? For now, I just rely on the fact that Akeeba tells me the backup was OK, that Akeeba tested it, and that people generally are very happy with Akeeba. But should I be satisfied with that ? There are two approaches you could take: one is to simply attempt to restore a single file – perhaps a image you’ve uploaded – from the backup. I would assume/hope that’s possible. The other is to restore the entire site, but to a different location. You could set up temporary hosting somewhere, or as you say, you could download and install locally if you have a spare machine capable of that. I don’t know enough about how Akeeba backs up, but you might ask their support for ideas as well. Joomla’s a fine solution if you’re familiar with it. Needless to say, I don’t have any expertise with it. Do you have access to your server, as in creating databases, directories and the like? If so, you could use the backup and try to restore to a new instance – like, make a directory mywebsite.com/backuptest. Create a whole new instance of Joomla and test it out. I’m not sure, technically, how Joomla works. I know that WordPress keeps it’s path in the database so you would have to get into the new database and edit that URL path so that you could see the site. Drupal (another content management system) can be duplicated into another directory without editing the database. So you’d need to learn how Joomla manages that. No lie… it’s a lot of work to do that! Does this seem to be a normal set of backups? If so and I have to reinstall my data do I first restore the full backup then the differential? This is pretty unrelated to Ask Leo! On Business, and I’ll probably delete it from here in a day or two … could I get you to ask this over on Ask Leo! (https://askleo.com/ask if you can’t think of a better spot.) That’s where I talk about general PC types of backup.